I am not a designer. Managing construction timelines, staying on budget, yelling at contractors, buying them coffee and doughnuts when they work weekends, keeping our investors informed of progress we’re making – I can do all of that. But a designer I am not. In picking finishes, I rely on Houzz and my wife. Both are a good way to go over budget! After a walk-through with my wife last weekend, she was rather impressed with the progress we were making – until she walked in the master bedroom. It lacked the “wow” factor she thought was needed to sell the house. “Spa-like” and “glitz” were two words she used to describe what the feel of the room needed to be; “boring” was how she described the current plan. Luckily, we were able to find savings on another part of the project, so we had a little money to work with. For the stone veneer, we decided to go with the Sierra Vista architectural stone from TileShop. The fireplace we’re using is the Dimplex Lacey. All told, this change order will cost us about $1800 in material, $400 for the fireplace and $1300 for the stone. …about $400. 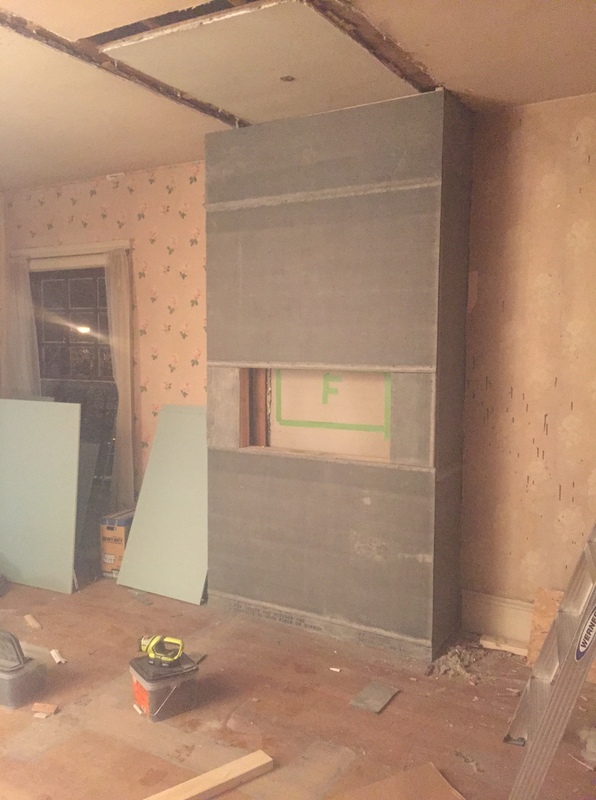 I had our contractors put up cement board this weekend, as seen below. The stone and fireplace will be installed later this week!